Green Active™ is your iron free multivitamin made from whole food concentrates. Formerly known as Green Source, this multivitamin is formulated to support energy metabolism without the added iron. Directions: For adults, take three (3) caplets daily, preferably with a meal. Refrigerate after opening. Other Ingredients: Vegetable Cellulose, Silica, Coating (Hypromellose, Glycerin). Contains <2% of: Vegetable Magnesium Stearate, Vegetable Stearic Acid. Contains: Milk, Soy, Fish (Salmon Roe), Tree nut (Coconut). Green Source® Multivitamins and Minerals Iron Free is rated 4.9 out of 5 by 28. Rated 5 out of 5 by Holly from Perfect fit for me Though I'm mindful about eating right as much as possible and incorporating a variety of fruits and vegetables into my daily diet, this a great extra boost to that effort! Rated 5 out of 5 by PNGmama from Excellent product I have used Green Source for over 15 years and will continue with Green Active because it contains every vitamin, mineral, etc. our bodies need to keep healthy, at a good value. Rated 5 out of 5 by Jetaun2001 from Love this vitamin I will continue to order them! The multivitamin helps to improve my health! Rated 5 out of 5 by Rick625 from excellent product Thank goodness you brought this product back. It's the best multi-vitamin I've ever used! Thanks vitamin world. Rated 5 out of 5 by Mike from Great product but... Our family has been purchasing Green Source® Multivitamins and Minerals Iron Free (now Green Active) for almost 10 years and we all love it. We also have been recommending and promoting this product to everybody we know or sending multiple bottles as a gift. 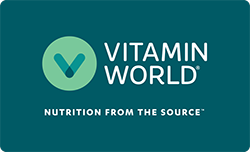 Only complaint or recommendation that we all agree is that it is very hard to purchase it from their retail stores since this product is out-of-stock all the time and Vitamin World does not offer this product in bigger quantity anymore since I don't know when. When they had offer this product on bigger bottles, they were much more offordable and we didn't have to throw away plastic bottles every month. Rated 5 out of 5 by Marci from love these vitamins!!! I started taking Greensource back in 2000 (around) they have been my main vitamin everyday...I was extremely disappointed when my local store went out of business...and even more upset when I discovered Greensource was out of stock indefinitely...I have been taking a different vitamin from puritans pride also called Greensource and I hate them!!!! I was absolutely thrilled to find Greenacitve is the same formula as your previous Greensource...I have been a loyal customer for many years and will remain now that I have my multivitamins back!!!!! Rated 5 out of 5 by Sfdrake26 from I'm very High Demand Green Source/ Green Active are what my body needs. I can feel a huge difference when I am taking this product!! I highly recommend this supplement to anyone that wants to feel healthier while knowing your body is receiving the best plant/fruits and minerals possible! !